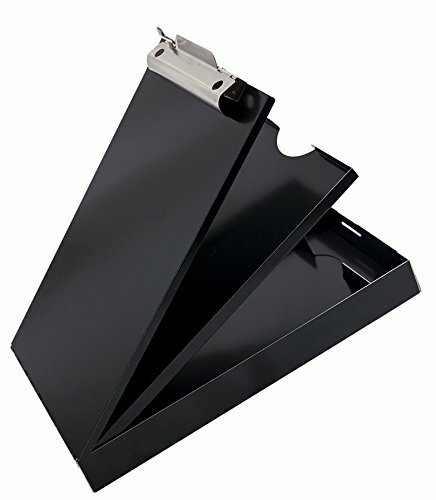 Declutter your desk at office or home with the help of high quality Saunders Aluminum Cruiser-Mate Storage Clipboard. The durable quality of paper board comes from recycled aluminum material. Use of 60% post-consumer waste in the manufacturing of this clipboard offers longevity without wastage. 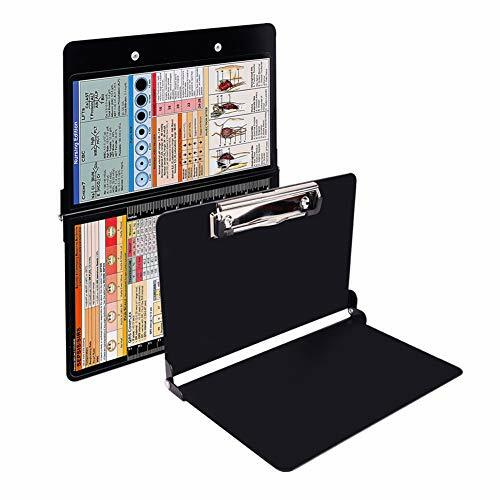 This storage clipboard comes with dual storage trays that help in sorting the important documents for the entire day. The compact storage tray provides ample of space for keeping the stationary at one place. Two storage compartments offer a total of 1" capacity, upper storage tray holds 7/16" capacity and the strong clip holds 1" of paper with ease. Stationary clipboard provides smooth surface for easy scribbling. 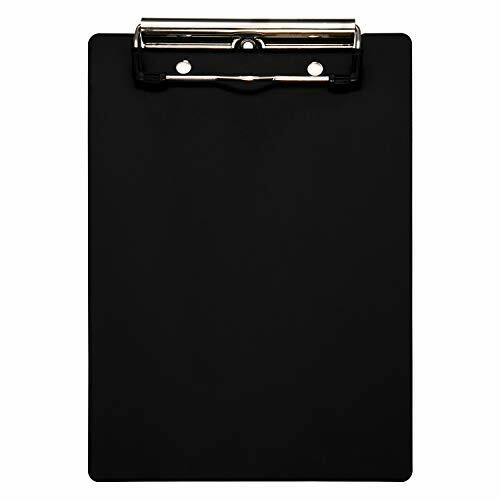 Aluminum clipboard is ideal for use in industrial, transportation, medical, public safety, and government office professionals. Warranty: Saunders’ products are guaranteed to be free from defects due to workmanship or material and to provide one year of normal service to the user. The Trade Quest letter size plastic clipboard is made of durable, long-lasting materials that are perfect for your every day needs. Ideal for schools, offices and home. The polished metal clip is sturdy with a strong spring and comes with rubberized corners for a more secure grip. Both sides are smooth and the corners are rounded. The edges are smooth and flat. Our boards are shipped in an efficient non-retail box and each board has a protective bag to ensure it arrives safely without blemishes. Available in Orange, Green, Red, Purple, Pink, Blue, and Clear colors. Pick your favorite! Trade Quest offers a 100% satisfaction money back guarantee. Trade Quest letter size clipboards are made of durable, long-lasting materials that are perfect for your every day needs. Ideal for schools, offices and home. The polished metal clip is sturdy with a strong spring and comes with rubberized corners for a more secure grip. Both sides are smooth and the corners are rounded. The edges are smooth and flat. Trade Quest offers a a 100% satisfaction money back guarantee. Our boards are shipped in an efficient non-retail box and each board has a protective bag to insure it arrives safely without blemishes. Trade Quest letter size clipboards are made of durable, long-lasting materials that are perfect for your every day needs. Ideal for schools, offices and home. The polished metal clip is sturdy with a strong spring and comes with rubberized corners for a more secure grip. Both sides are smooth and the corners are rounded. The edges are smooth and flat. Our boards are shipped in an efficient non-retail box and each board has a protective bag to ensure it arrives safely without blemishes. Trade Quest offers a a 100% satisfaction money back guarantee. Does your everyday work and routine have to do with papers, letters or documents? Aren't you tired of your work being hindered because you cannot organize them? Would you like to see what it feels to work with top grade tools of the trade? Then Office Solutions Direct may just have what you need. Our top grade clipboards feature high-density fiberboard that puts other suppliers' clipboards to shame. The clipboard's surface is tempered to gain a feeling of smoothness, while the corners are rounded to ensure it never gets stuck anywhere. The metal clip is riveted onto the board to ensure stability, sturdily constructed and fitted with a heavy duty spring. Depending on the stock, it may hold up to 100 sheets of paper - which is probably far more than anyone ever needs. These practical hardboard clipboards are designed to be used with 9'' x 12.5'' paper sheets, which is the industry standard - also commonly known as 'A4'. This doesn't mean, however, that it can't be used to hold smaller paper sizes - or even memos and post-it notes, if that's what you need it to hold! Even if you're no white-collar worker, there's a thousand things you can use a good clipboard for: organizing notes, archiving recipes, displaying photos and many, many more! Order your own now - you will think up another thousand as long as you get your hands on them! Just Click 'Add To Cart' Now - And We'll Do The Rest!  The Eco-Friendly Clipboards will last years or we'll send your money right back! -Sick of the cheap options, want something that will feel sturdy and solid? Say goodbye to cheap, uneven, poorly made writing surfaces! Don't you want a smooth, premium quality writing experience!?  THE ONLY ALL-PURPOSE, ULTRA-DURABLE, SMOOTH-FINISH CLIPBOARDS WITH A LIFETIME WARRANTY! -Most imitators break/fall apart, but ours won't! Most have uneven edges and flimsy clips that barely hold your paper in place, ours has a level of finish that's a step above, guaranteed! Wherever you go, these functional clipboards are perfect. 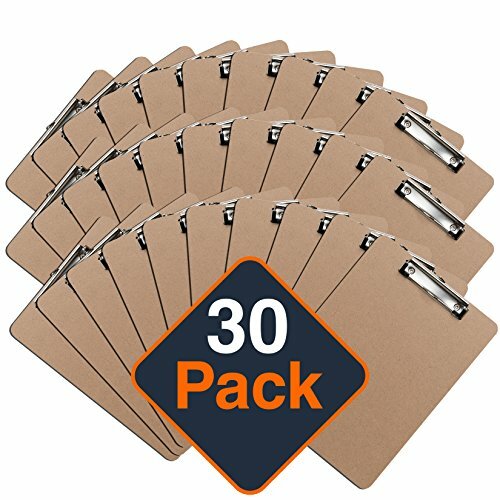 [SET OF 30] THE PERFECT HARDBOARD CLIPBOARDS TO SUPPORT YOUR WRITING NEEDS! NOTHING ELSE COMPARES -Dont price shop; others use cheap, uncomfortable, rough materials that dont last. You want a nice smooth, easy writing surface that you can take notes on anywhere, right? 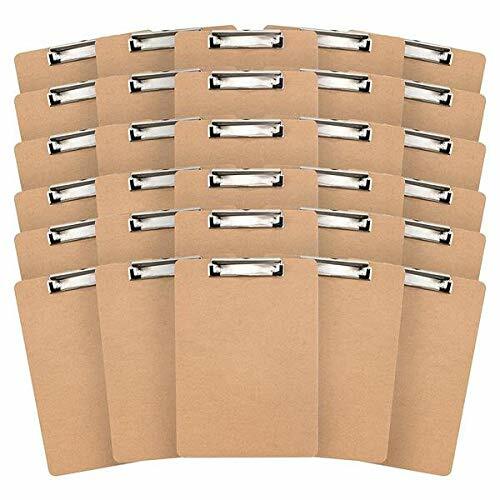 READ BEFORE BUYING...MOST SELLERS DON'T WANT YOU KNOWING ABOUT THIS --> Other bulk clipboards look great in the pictures, but are inferior and flimsy, will wear out way too soon, and have no warranty (for a reason) since they don't last. Why risk it with them? Organize your papers with Saunders Recycled Aluminum Cruiser-Mate Storage Clipboard! Clipboard with dual tray storage is made with high-quality recycled aluminum that helps to prevents corrosion. With a self-locking latch, clipboard by Saunders is ideal for recordkeeping and making sure that your documents are in right place. This aluminum clipboard is perfect for gifting purposes to office goers, students, doctors, teachers and other working professionals. 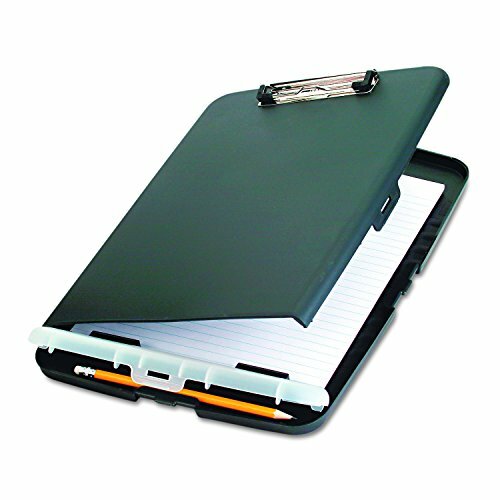 Saunders recordkeeping clipboard ensures a safe usage and is suitable for manual carriage. 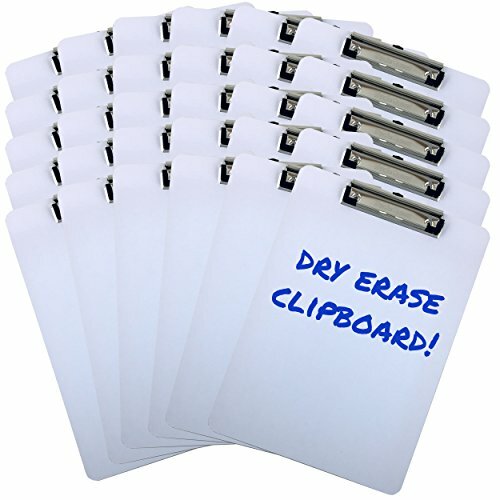 Easy to use, this travel friendly clipboard offers easy maintenance. These Eco-Friendly Clipboards will last years or we'll send your money right back! -Sick of the cheap options, want something that will feel sturdy and solid? Say goodbye to cheap, uneven, poorly made writing surfaces! Don't you want a smooth, premium quality writing experience!? THE ONLY ALL-PURPOSE, ULTRA-DURABLE, SMOOTH-FINISH CLIPBOARDS WITH A LIFETIME WARRANTY! -Most imitators break/fall apart, but ours won't! Most have uneven edges and flimsy clips that barely hold your paper in place, ours has a level of finish that's a step above, guaranteed! Wherever you go, these functional clipboards are perfect. 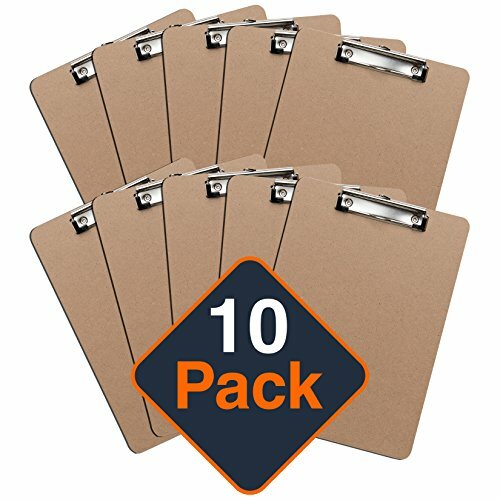 [SET OF 10] THE PERFECT HARDBOARD CLIPBOARDS TO SUPPORT YOUR WRITING NEEDS! NOTHING ELSE COMPARES -Dont price shop; others use cheap, uncomfortable, rough materials that dont last. You want a nice smooth, easy writing surface that you can take notes on anywhere, right? 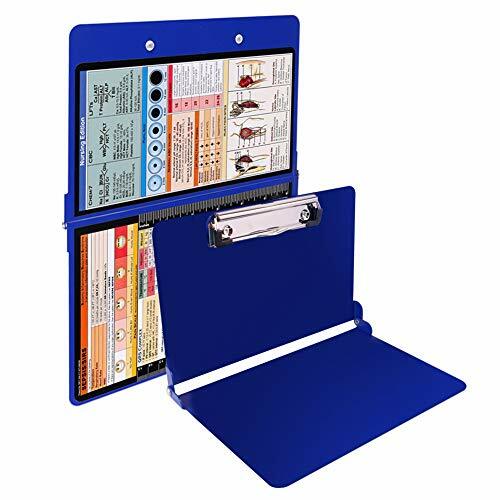 Saunders Blue SlimMate Plastic Storage Clipboard is an essential briefcase like clipboard that helps in keeping all the stationery items in an organized manner. This clipboard is made using high-quality material that provides durability for a longer period. The stationery clipboard comes in a slim design that can easily fit in a backpack. 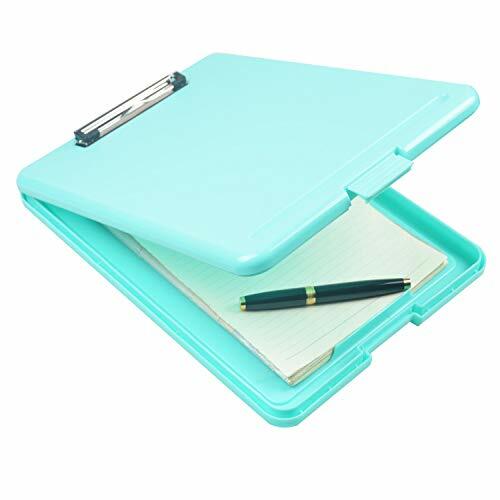 This briefcase clipboard offers ample storage space for keeping notepads, small documents, and other stationery items, especially when you are in a field job or when you are working while travelling. 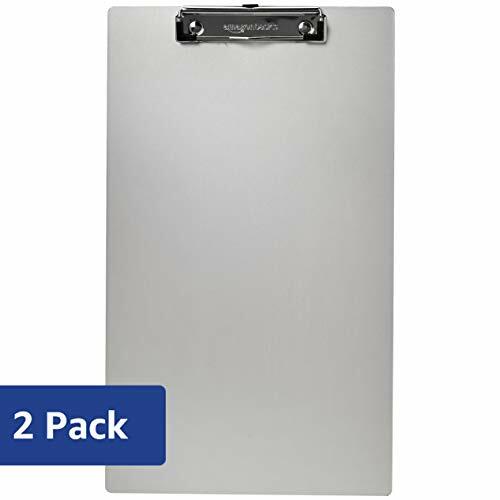 The Trade Quest letter size dry erase clipboard is made of durable, long-lasting materials that are perfect for your every day needs. Ideal for schools, offices and home. The polished metal clip is sturdy with a strong spring and comes with rubberized corners for a more secure grip. Both sides are smooth and the corners are rounded. The edges are smooth and flat. Our boards are shipped in an efficient non-retail box and each board has a protective bag to ensure it arrives safely without blemishes. Trade Quest offers a a 100% satisfaction money back guarantee. Our clipboards are designed to increase classroom and office productivity by enabling mobile work by making it easier to write, color, learn, take notes, and work on the move. Hang our clipboards where your employees or co-workers can see them to easily remind them to use the clipboard or complete daily tasks. 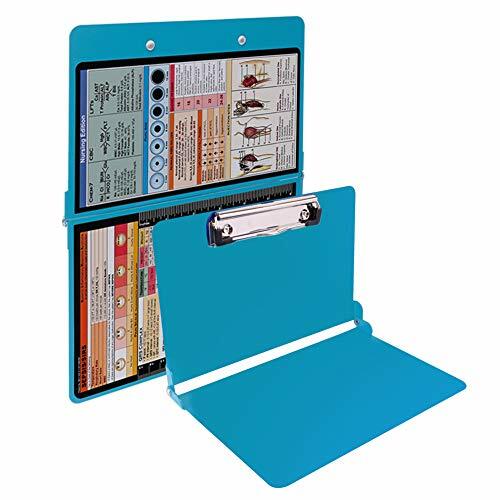 Increase your classroom and office productivity by bringing your learning and working mobile with our lightweight and strong clipboards that are designed for kids learning and coloring, student and group projects, outdoor learning, and more. Trade Quest letter size clipboards are made of durable, long-lasting materials that are perfect for your every day needs. Perfect for schools, offices and home. The polished metal clip is sturdy with a strong spring and comes with rubberized corners for a more secure grip. Both sides are smooth and the corners are rounded. The edges are smooth and flat. Our boards are shipped in an efficient non-retail box and each board has a protective bag to ensure it arrives safely without blemishes. Trade Quest offers a 100% satisfaction or your money back guarantee. Is this for me? If you want a safe place to store patient sensitive material, quickly access vital references, and have a portable writing surface, then YES, YES this IS for YOU . 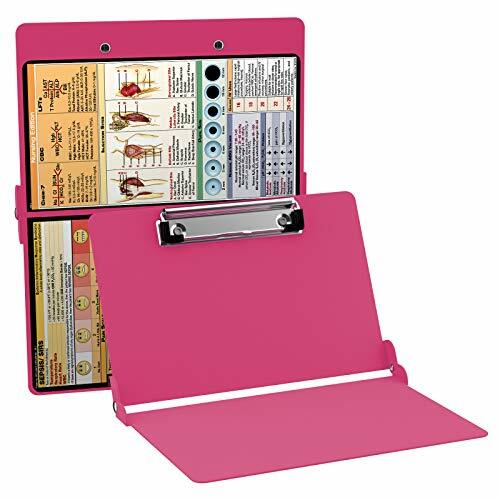 HIGH STRENGTH YET LIGHTWEIGHT CLIPBOARD: With 1" of internal storage our nurse clipboard will keep your reports HIPAA compliant and your pockets light! Nobody wants to be weighed down by supplies or heavy foldable clipboards when running to a code blue or a code brown;) Easily fits in most nursing bags. QUICK ACCESS MEDICAL REFERENCES: The backside of our clipboard features a color-coded reference cheat sheet that gives you quick access to the information you need. References, conversions, and values are all there to make nurses and students' lives a little easier. Features : Vital Signs, ABG, Shock, Blood Product Transfusions, Lab Values, and more! It was created to the absolute perfect tool for your next shift or clinical rotation. DOWNLOADABLE CHEAT SHEETS: These downloadable 8.5x11 .pdfs are perfect to keep on your phone or print out for your next shift or clinical rounds! Sheets include two General Med sheets, Labs, Medical Spanish, Newborn, NICU, OB L&D, Pediatrics, Pharmacy, and Respiratory references. LIFETIME WARRANTY: Just like all Tribe RN products, our clipboard comes with our no questions asked lifetime warranty. PERFECT GIFT: Our amazing nurse's clipboard makes the perfect gift for the nursing student, LPN, or RN in your life. 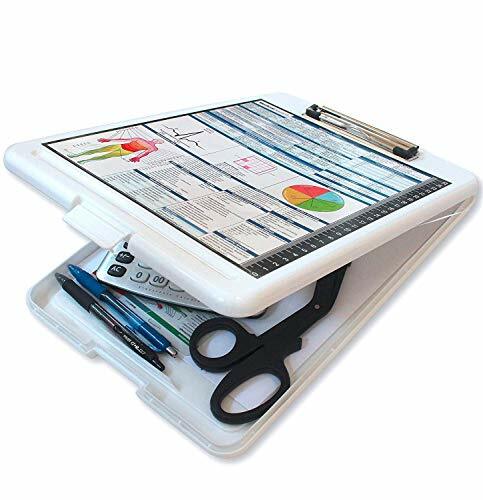 PLENTY OF STORAGE - This nurse clipboard will keep your reports HIPAA compliant and your pockets light! Nobody wants to be weighed down by supplies or heavy folding clipboards when running to a code blue or a code brown;) Plenty of room for your calculator, scissors, highlighters, notebooks, report sheets, pens, and other supplies! MEDICAL REFERENCE SHEET - Color-coded reference sheet gives you quick access to the information you need when you need it! References, conversions, and values are all there to make nurses and students' lives a little easier. Features: Vital Signs, ABG, Shock, Blood Product Transfusions, Lab Values, and more! It was created to be an absolutely perfect tool for clinicals. LIGHTWEIGHT - Our storage clipboard features a thin, lightweight design that is convenient and portable. Not too big and bulky to carry room to room throughout your shift, yet the heavy-duty clip is strong enough to hold all of your papers. COLORFUL DESIGNS - Chose a clipboard that's as colorful as you are! Know someone in nursing school? It's also makes best gift for the student studying for the NCLEX or your favorite RN! WATER RESISTANT - If you take your clipboard into a C-Diff or MRSA room, no worries! Simply wipe it down with sanitary wipes PRN. 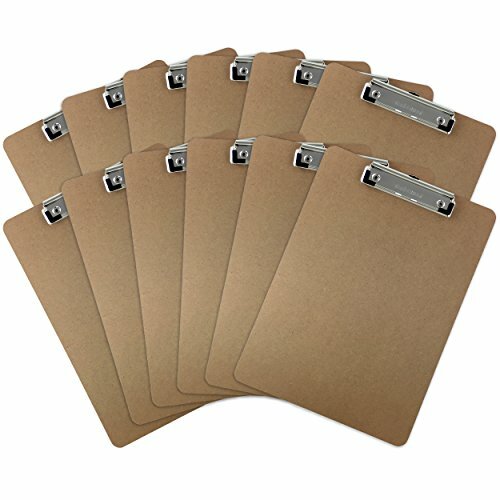 Full size nursing pocket clipboard from WhiteCoat Clipboards. Unique design allows the clipboard to fold in half for storage in your pocket. Made of lightweight aluminum with the ability to carry 15 pieces of paper without a crease, while at the same time securing all your medical information inside. Carry extra history and physical exam forms, SOAP notes or progress note pages without worry of losing your data. The clipboard also functions as a quick nursing reference with detailed day-to-day information such as basic laboratory values, acid base determination, injection sites, pain scale, and much more. BEWARE OF COUNTERFEIT SELLERS. 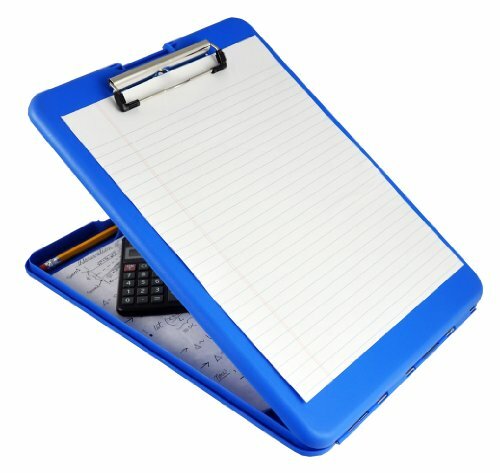 MDpocket -WhiteCoat Clipboard is the manufacturer of this product. 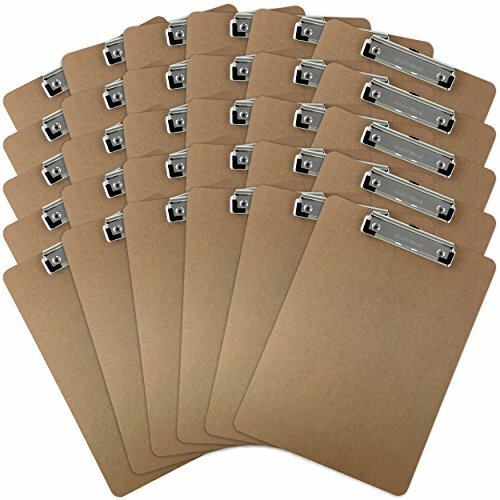 BEWARE OF COUNTERFEIT CLIPBOARDS - MDpocket is the manufacturer of these items. Unique design allows the clipboard to fold in half for storage in your pocket. Made of lightweight aluminum with the ability to carry 15 pieces of paper without a crease, while at the same time securing all your medical information inside. Carry extra history and physical exam forms, SOAP notes or progress note pages without worry of losing your data. The clipboard also functions as a quick nursing reference with detailed day-to-day information such as basic laboratory values, acid base determination, injection sites, pain scale, and much more. Folding nursing clipboard made of lightweight aluminum. 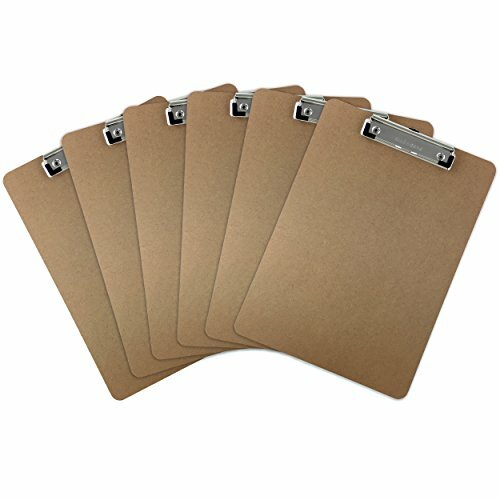 Full size clipboard that folds with ease to 1/2 inch. Hold 8.5 x 11 inch paper - letter,15-30 pieces of paper without creasing. Powder coated finish for long lasting durabilityPowder coated finish for long lasting durability. Great for medical students, nurses or any healthcare professional. From:Puchin, Leading plate clamp factory technology. Years of factory technology, giving each customer the best experience. We use high quality recycled aluminum to form a heavy industry. The clip has been tested 2000 times without any quality problems. Each product cornering technology will not cause any scratches to user. You can use it with confidence after purchase. 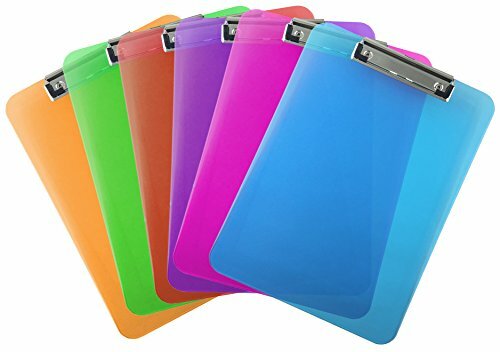 Colorful clipboard measures 25 35 cm/10" x 13.5" and thick is approximately 2cm/ 0.8". Smooth and durable writing surface, lightweight for easy carry throughout the entire workday! Perfect for classrooms, hospitals, waiting rooms, teachers, inspectors, meetings, and more. 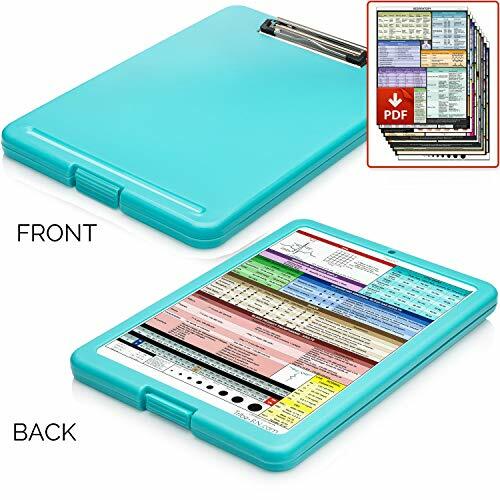 Simply un-clip bottom of clipboard to reveal a spacious storage compartment for holding extra documents, papers, writing pens and pencils, and more! 2-YEAR WARRANTY : We stand behind the quality of metal binder. Our aluminum clipboard come with 24 months hassle-free limited warranty. You can get full refund or replacement for free if quality problem. Any question, please do not hesitate to contact us. Conveniently-sized storage clipboard with ample storage space for the medical professional. Clipboard includes handy medical reference on writing surface. Unique design allows the clipboard to fold in half for storage in your pocket. Made of lightweight aluminum with the ability to carry 15 pieces of paper without a crease, while at the same time securing all your medical information inside. 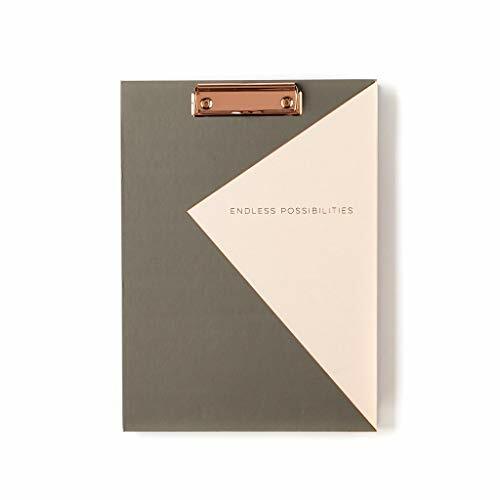 Stay organized with this stylish clipboard folio. Take notes and write important memos with the 8.5"x11" lined and gilded edge notepad. Keep important papers and notes on hand with the inner pocket and clip in the cover of this padfolio. 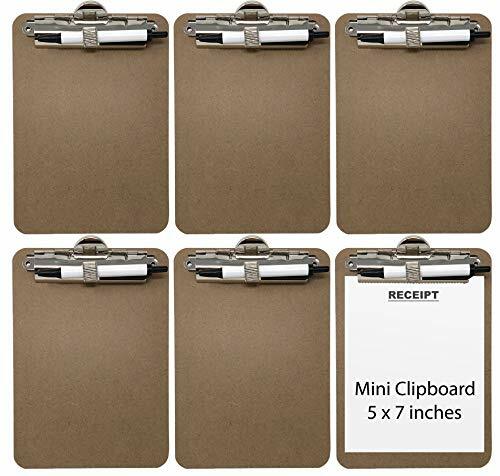 Trade Quest mini size clipboards (pack of 6) are made of durable, long-lasting materials that are perfect for your every day needs. Ideal for schools, offices and home. The polished metal clip is sturdy with a strong spring and comes with a serrated edge for a more secure grip. Both sides are smooth and the corners are rounded. The clip also features a flexible pen holder that fits many types of writing utensils. The edges are smooth and flat. Our boards are shipped in an efficient non-retail box and each board has a protective bag to ensure it arrives safely without blemishes. Trade Quest offers a a 100% satisfaction money back guarantee. PERFECT SIZE - 5 Inches x 7 Inches mini size - Small enough to fit in a carrying case, but still big enough for holding memo sized notepads and paper.